Get into the spirit of the Rio Olympic games with these delicious recipes! This one-pot meal is a Brazilian family favorite. 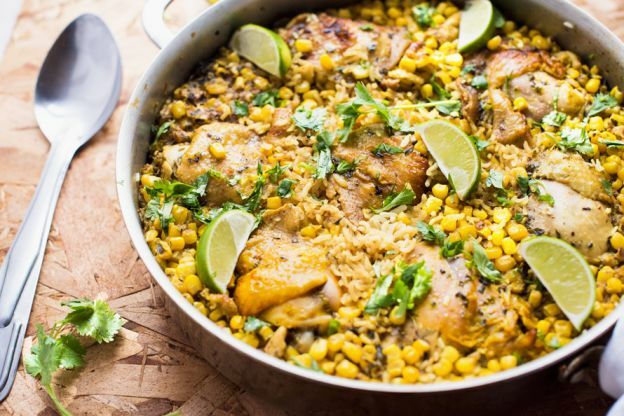 With zesty citrus, fresh corn and chicken thighs, it's very high in flavor and easy to make.